I am most definitely a tea girl. I've been through phases of enjoying coffee but I always come back to tea, mostly herbal and green teas lately. Preheat oven to 170 degrees celsius (150 degrees fan-forced). Lightly grease a 22cm round cake pan and line the base with non-stick paper. Place the water and tea in a mug and allow to infuse for 10 minutes then strain, discarding the leaves. Pour the milk into the tea and set aside until needed. Place the butter, sugar and vanilla in the bowl of an electric mixer and beat until pale and creamy. Add the eggs, one at a time, beating well after each addition. Mix the flour and milk/tea alternately into the butter mixture, beating until just combined. Use a rubber spatula to gently bring in the last few bits of flour around the bowl. Spoon the mixture into the prepared tin and bake for approximately 45 minutes or until a skewer inserted into the centre comes out clean. Allow to cool in the tin for 5 minutes before turning out onto a wire rack. 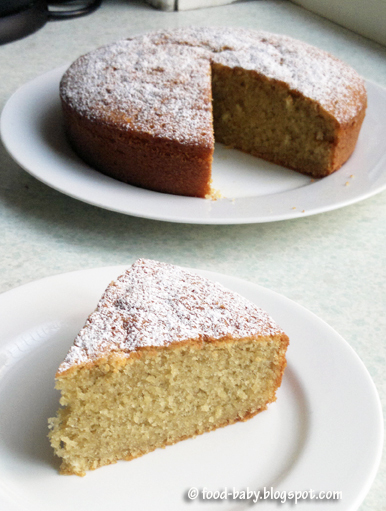 Once cool, dust with icing sugar and serve with your favourite cup of tea. Just wonderful! Both the peppermint and vanilla shine through perfectly in this moist buttery cake, without being overpowering. It doesn't need any adornment other than the dusting of icing sugar. But a dollop of double cream on the side would be lovely, as would a dark chocolate icing if you wanted to really dress it up. I will definitely be making this again. I'm excited to try this. I really love sweets with a peppermint twist, so this cake seems right up my alley, excited to make it! I like your cooking creativity. I love to bake with tea and mint is such a great flavor! 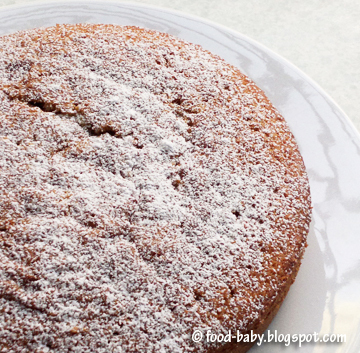 Not to mention the aroma in the kitchen when you take this cake out of the oven! Oh my! I love this vanilla mint tea cake! Gosh, so mouth watering! Thank you so much for sharing this great recipe!